Our new hangar is finally finished. Since we moved to Popham, our plane has been kept outside which isn't ideal. 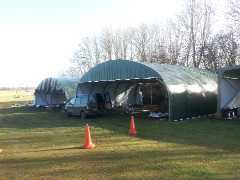 We negotiated with the new airfield manager (Gerry) and he has allowed us to get a polytunnel style hangar erected, along with two others. 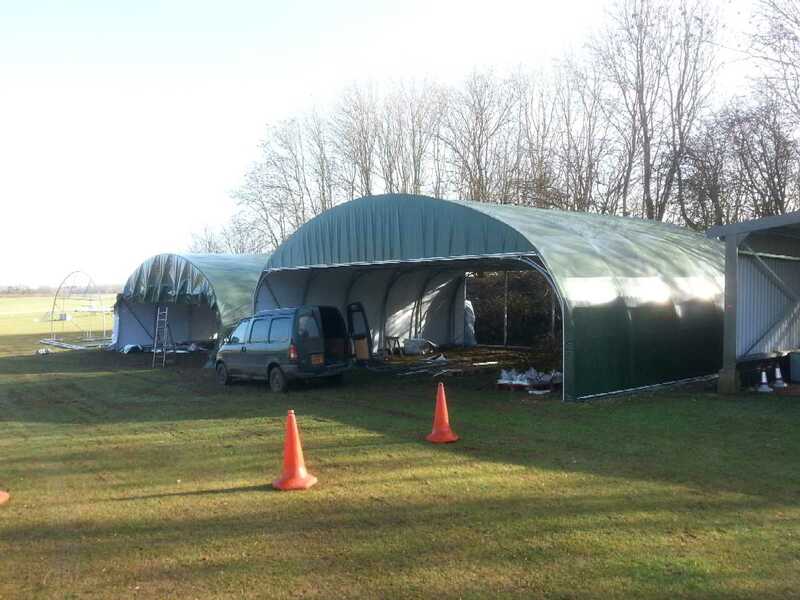 We bought the hangar from McGregors and got a nice chap called Mark Munday to put it up for us - we did contemplate doing this by ourselves, but were recommended that Mark knows what he is doing and that it isn't hard to bugger it up. Mark fought with the decidedly wet weather we have been having and also coped with the slope of the ground. The sliding door had to be specially cut longer at one end to match the slope. The hangar will also be home for George's MW5A. We still have to sort out the flooring which will probably be a mixture of paving slabs and coconut matting. We have now also done the 100 hour airframe service. 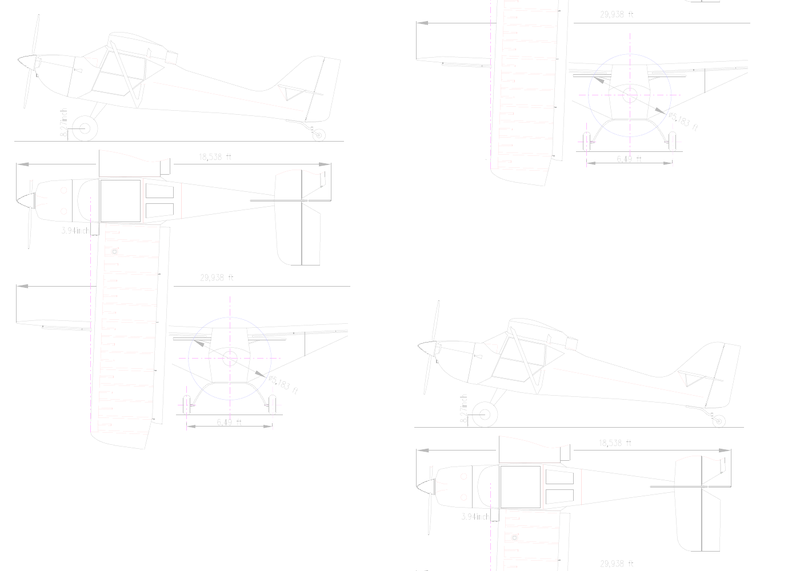 We looked at the various differing service schedules and cherry picked the items that were most appropriate for the microlight taildragger version to create our own service schedule. We had one issue recently where the water pressure cap leaked. I was really lucky that on the day it failed, I happened to park up by the clubhouse before going flying and noticed the water leaking out the cowling. On further investigation we found that the cap had been poorly formed and the rubber washer was eccentric - a rare problem for a Rotax. It turns out it could have gone at any time. Replaced and sorted now. 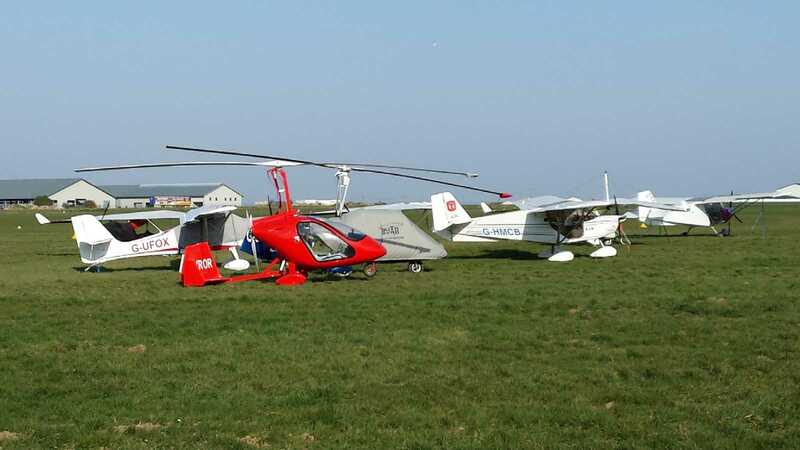 Other news - this weekend, Ian and Tom took her to Abbeville on a fly-out organised by the Whitehill Farm Aero Club (WFAeC). This is her first international outing. Well done Guys!